The Manero PowerReserve makes a statement on time and its course. A glance at its dial reveals how much power it still has in store. 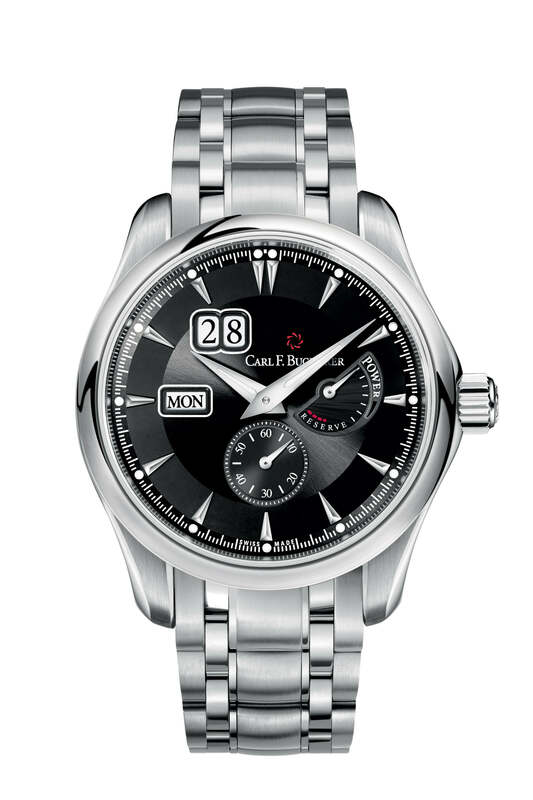 To do this, a special module made in-house is incorporated into the movement to display the power reserve. Thus the caliber CFB A1011 takes its place for the first time in the Manero line, combining external design of traditional inspiration with the most innovative technology within. The CFB A1000 is the source of an entire family of calibers. Thanks to its individual functional modules, it has various choices of display. The most recent version is the CFB A1011, developed in 2013, which debuted in the Manero PowerReserve and features a scale showing the amount of energy remaining in the mainspring.